It would not be hard to keep going. 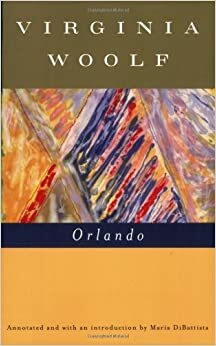 I understand that all of these passages are out of context and that their absurdity in context (at least when they are absurd) contributes to the sharp, critical knife-edge of Woolf's style in Orlando. I understand that Woolf's irony is sometimes cruelly subtle, sometimes explosively funny, sometimes radically subversive, sometimes powerfully moving. And yet—to borrow some phrasing from the passages about the queen—there also seems to be a "dark background" taking shape here. What work does this background do? Should the "[t]he sound of the cannon" be in our ears too as we read the novel? And why? How? What sort of cannon? A couple of summers ago, a student spoke up in my Modern Novel class and confessed, "Maybe I just don't get her jokes like the rest of you. Maybe I'm way off. But . . ." She paused. After encouraging her to finish her thought, the student added, "I just don't feel like I can trust this narrator. Or this author even. I feel like she's keeping something from me—from us—that'll leap out when I'm least prepared." Though I don't really remember the details of my response, I did not handle this moment very well as a teacher. I do remember feeling confused, utterly baffled. 'How could anyone not trust Woolf?' I wondered. While the dark intimations of the passages above do not give me cause to doubt or mistrust Orlando (I've read the novel too many times) and while I find them fascinating and worth investigation rather than disheartening or off-putting, perhaps I am beginning to understand what this student was sensing. I don't think Woolf is holding anything back, but it's clear to me that there's something at the back of the novel that should unnerve us. A sadness? An indifference? A despair? I'm not quite sure yet.